German plum (or apple) cake | Hey Bernice! 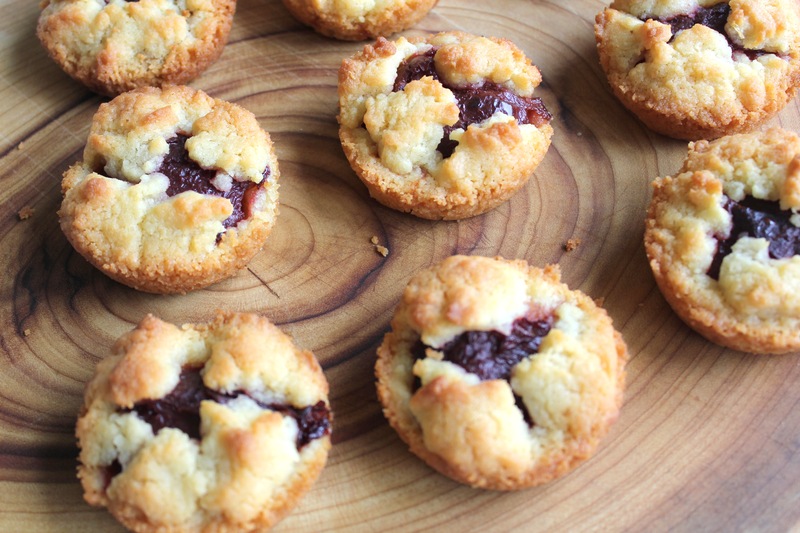 This recipe is one of mum’s… and an old favourite of mine. I loved the way that mum would mix it up a bit, when we were little, and change the fruit she would add to the cake. Whilst the recipe suggests apples, sultanas and spices, she would add plums and sometimes apricots. I have made two versions, and also experimented with making mini cakes in muffin tins – which seemed to work! I made these to feed the influx of visitors I had in the first week after getting home from hospital with Heidi. Melt butter in a large saucepan. Add sugar and stir until dissolved. Note: It helps to cool the butter and sugar a little before adding the other ingredients, otherwise it tends to separate a little. Add flour, stir well, beat in egg. Grease a 7 inch cake tin. using your fingers spread a little ore than half of the cake mixture over the bottom of the tin. Alternatively: You can use a muffin tin and make mini cakes in the same way as the large cake. Peel, core and slice apples. Place apples in layers over the cake mixture. 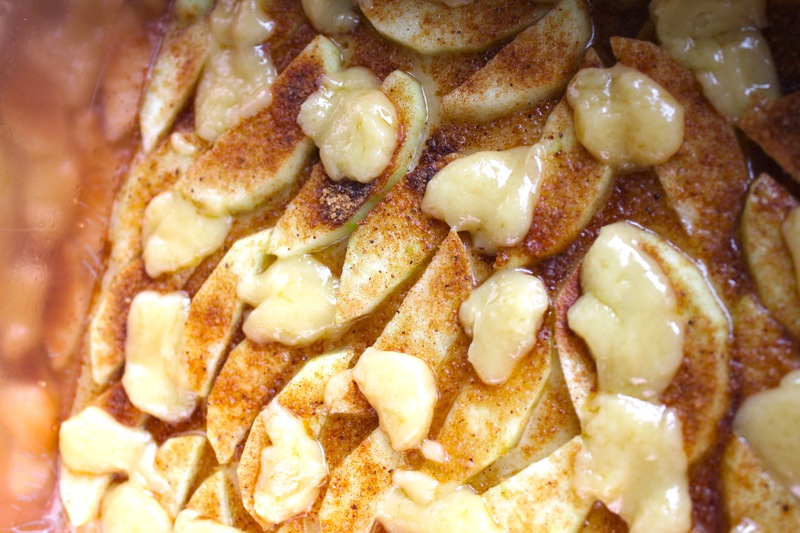 Mix sultanas, sugar and spices and sprinkle over apple slices. Sprinkle with lemon juice. Spread the rest of the cake mixture on the top of the apples in spoonfuls. Bake in a moderate over for 45 minutes (check at 20, and 30 minutes – remove if golden brown). 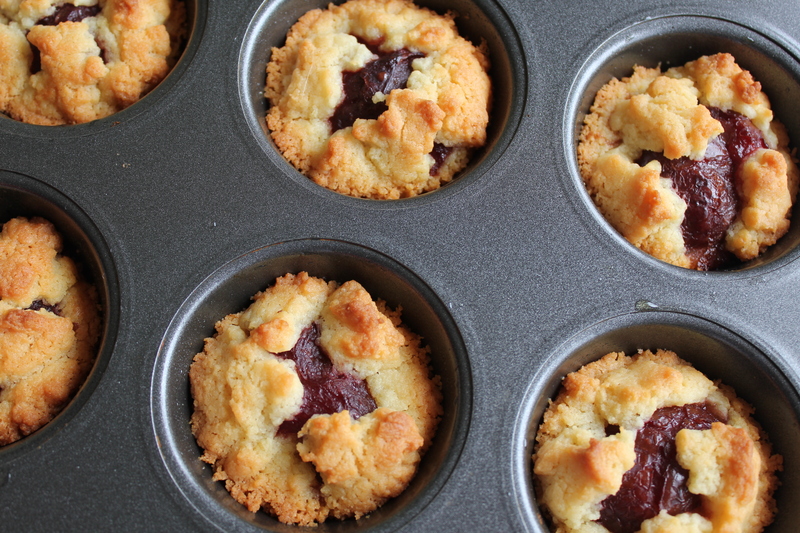 Alternatively: Instead of apples, I used tinned plums in my mini German cakes. 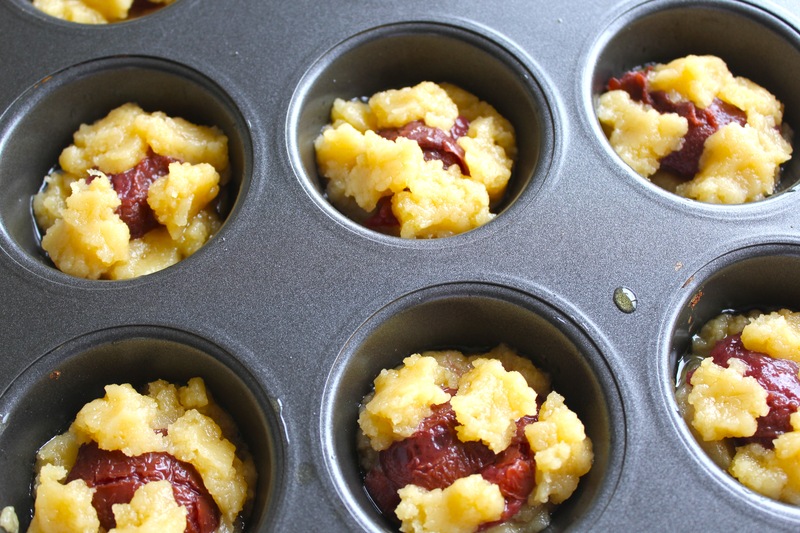 I simply placed half a plum (removing the pip) in each muffin tin. The same could be done with tinned apricots, or black cherries. Make sure you drain the juice from the fruit to avoid soggy cakes! I juts added the fruit (no spices, sugar or sultanas), but you could still add the spices if you wish. The mini cakes were great for morning tea last week, sitting outside in the Autumn sunshine!